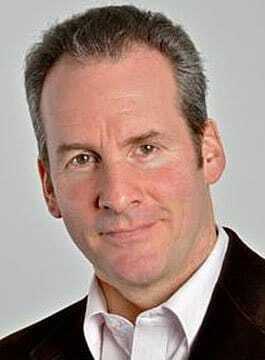 Chris Barrie is comedian, impressionist, actor and presenter. He his best known to legions of fans across the world as Arnold Rimmer from Red Dwarf. Originally an impressionist at The Comedy Store, Chris Barrie’s TV career began with a memorable contribution to Jasper Carrott’s Election Night Special. He was quickly signed up as a cornerstone of the pioneering Spitting Image team, and provided voices for Ronald Reagan, Prince Charles, David Coleman, Paul Daniels, Barry Norman and John Cole. As a presenter, in 2004 Chris completed his first full series presenting Massive Engines for the Discovery Channel. Due to the success of Massive Engines, this was followed by Chris Barrie’s Massive Machines and Massive Speed. In 2009 Chris completed two four-part series’ of ‘Britain’s Greatest Machines’ for National Geographic continuing his mission to bring the glorious history of Britain’s engineering heritage to the masses. The return of Red Dwarf continued in 2012, reviving the original format of six half hours recorded in front of a studio audience. As well as an after-dinner speaker, Chris Barrie is a hugely popular awards host and conference link presenter. Whether he is hosting an awards ceremony, linking conference presentations, contributing to the launch of a new product or delivering an after-dinner speech, he will provide the right balance of entertainment for the company and the event. “We were delighted to welcome Chris Barrie to our Annual Lunch in Bournemouth in February 2017. He certainly didn’t disappoint! Chris captivated the audience when he approached the microphone as Gordon Brittas, following on with impersonations from his Spitting Image days and finally stories from his time with Red Dwarf. What a talented and hilarious speaker!!"